N.K. 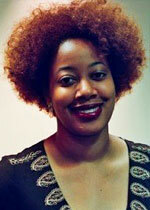 Jemisin is a career counselor, political blogger, and would-be gourmand living in New York City. She's been writing since the age of 10, although her early works will never see the light of day. Find out more at www.nkjemisin.com.